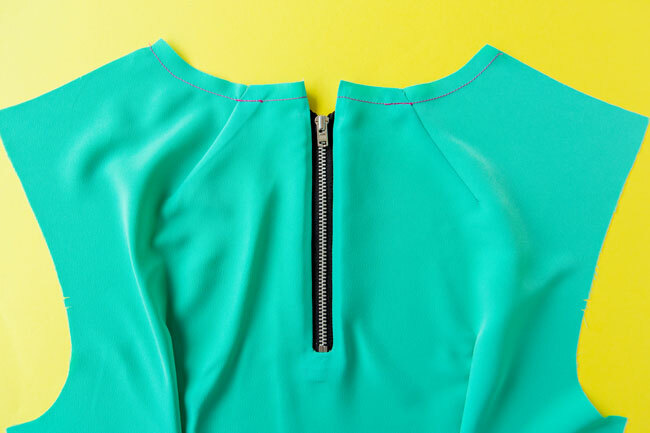 I love the way an exposed zip can make a feminine top such as this one look instantly more contemporary. 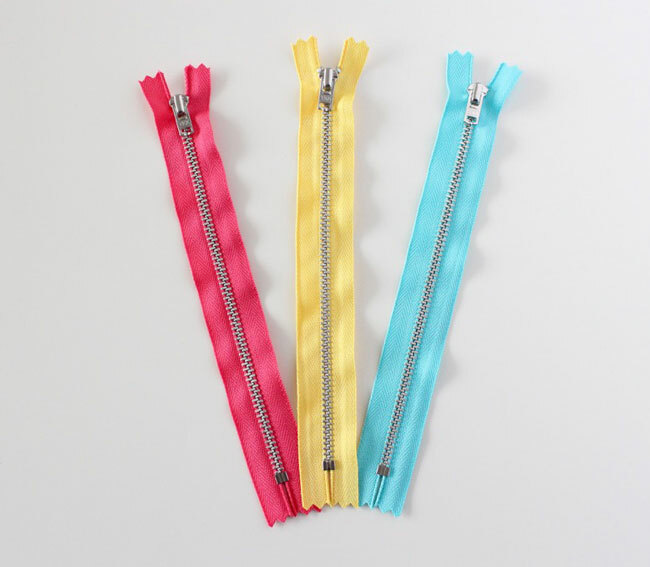 As explained in the post on supplies shopping, we suggest you get a zip that’s 18cm (7in) or 20cm (8in) long, preferably 25mm (1in) wide (with each tape 10mm or 1/2in wide), with metal teeth and contrast colour tapes to your fabric. Don't get one shorter than that or you might struggle to get the top on and off! You can test this out at the toiling stage in any case. 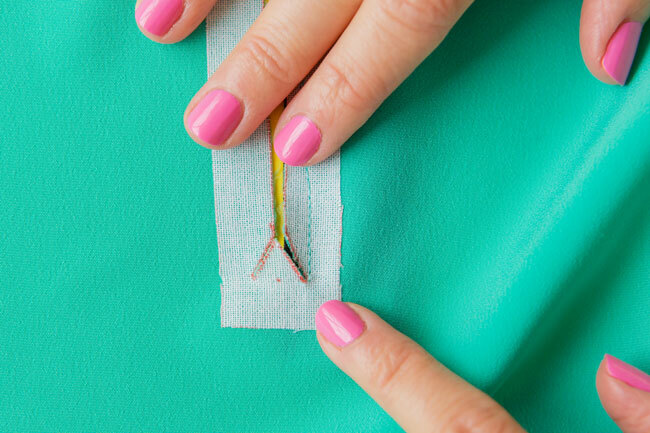 On the back bodice piece, carefully cut along the zip opening lines marked on the zip interfacing strip – including the little upside down “V”. Open the zip. 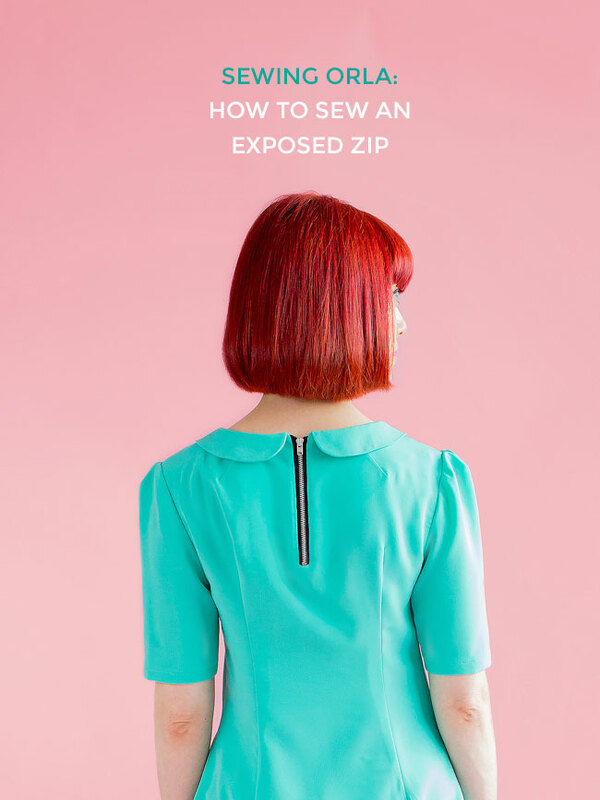 Lay the zip over the back bodice, right sides together. 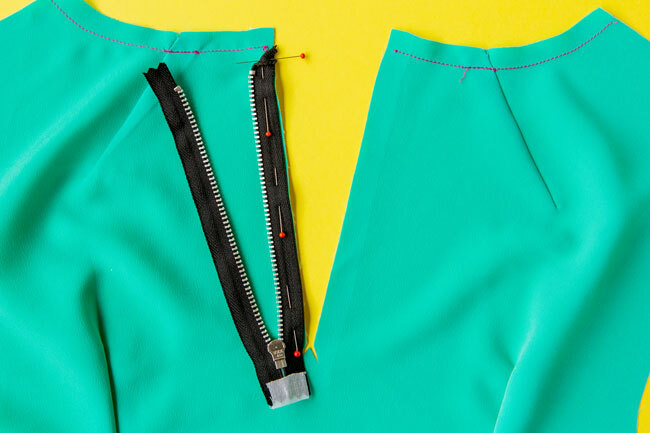 If your zip is 25mm (1in) wide, align the edge of the left zip tape with the left side of the opening. 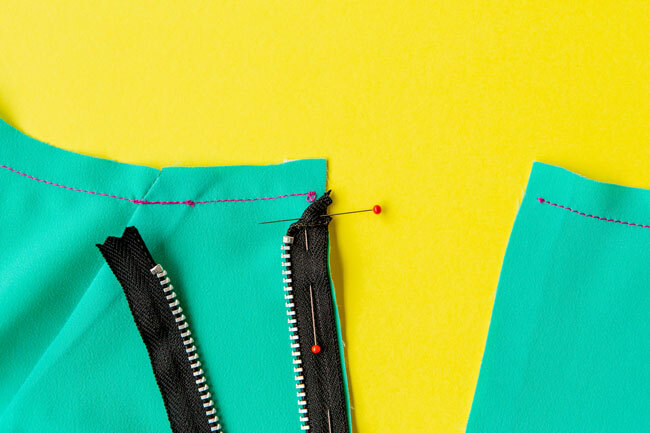 Occasionally zips are slightly wider, in which case, overlap half of the excess over the opening – so if your zip is 30mm (1 1/4in) wide, overlap the left side of the zip tape over the cut edge by 2mm (1/8in). 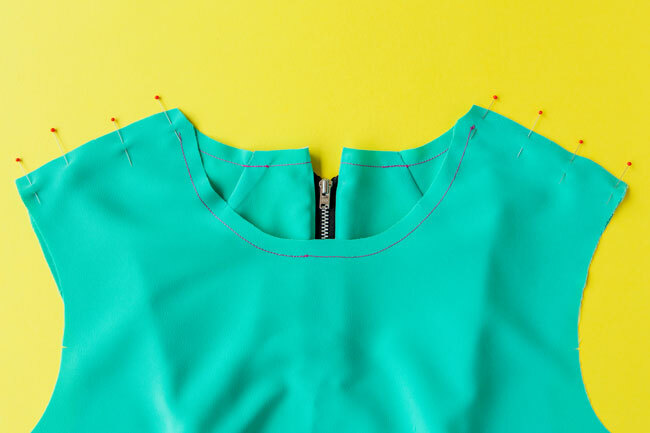 Align the top stop – the metal bit at the top of the zip – so it’s 20mm (3/4in) down from the neckline edge. The bottom stop should line up with the bottom of the upside down “V”. Pin the zip in place. Fold the top of the zip tape diagonally away from the teeth and pin this down too. 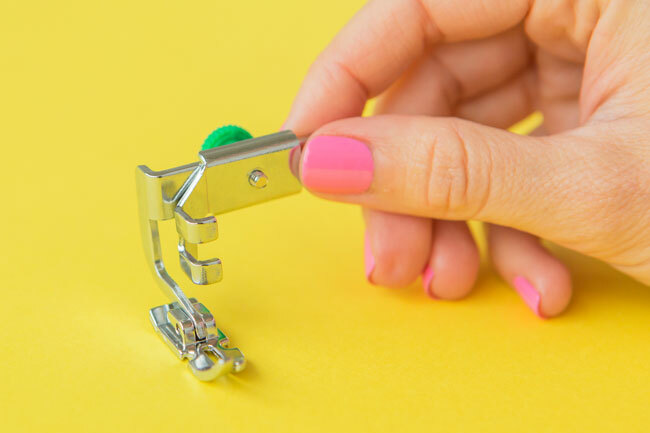 Attach a zip presser foot to your sewing machine. 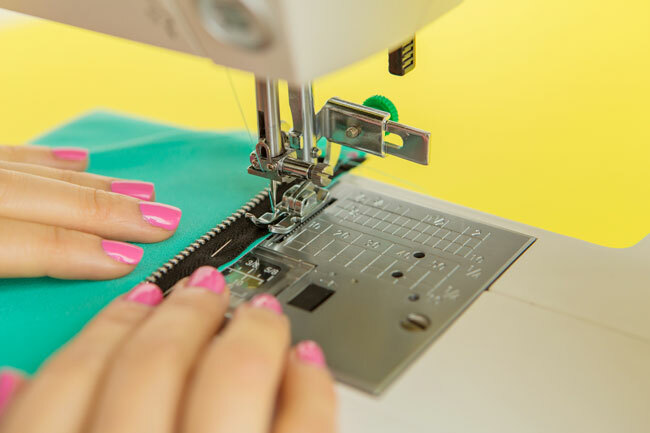 You can use a regular zip foot to sew the zip, but I recommend getting an adjustable zip foot. It’s nice and narrow, and you can adjust the position of the presser bit, so you can get up close and personal with the zip teeth. 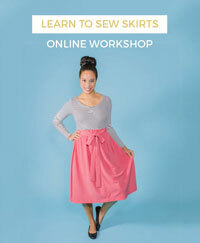 You can also use it to sew piping! If you get one, make sure it fits the model of machine that you have. 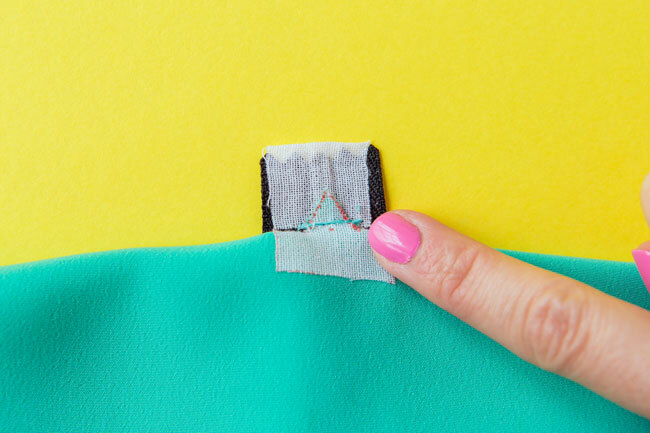 Finish sewing at the bottom of the zip bottom stop – right in the bottom corner of the upside down “V”. 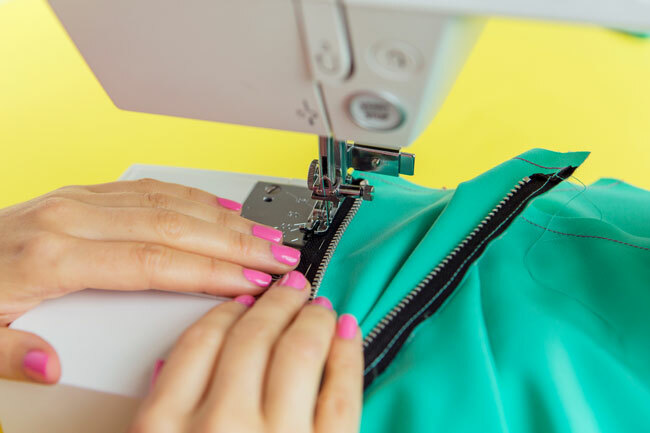 Fold the left side of the zip and the tape ends to the inside of the bodice, then pin and stitch the right-hand side of the zip to the right-hand side of the opening the same way, making sure the top stops on each side of the zip line up. For the rest of the sewalong, unless the step says otherwise, assume we’re using a 15mm (5/8in) seam allowance for sewing all seams. Lay the front bodice on top of the back bodice, right sides together. 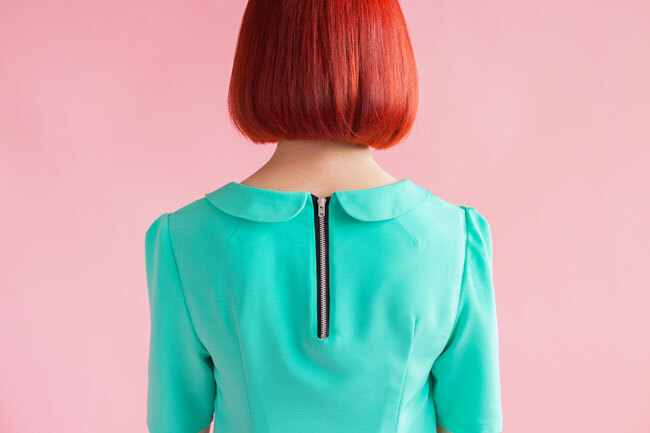 Pin them together at the shoulders, matching the notches. Change back to a normal presser foot and stitch. Trim, finish and press the seam allowances open or towards the back. Good work! In the next post, we’ll make the collar – which is totally optional – and in the post after that we’ll move on to the neckline facing. Wanna join the sewalong? You'd be very welcome to! 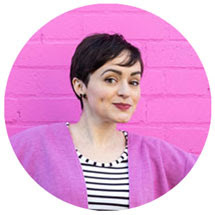 Order your pattern and catch up with the other posts.